Canon and Nikon are the two kings of the camera industry, there aren’t any two opinions about this fact. Being close competitors, the war for dominance between Canon and Nikon has always continued on different aspects of SLR and DSLR cameras. In the earlier 2000s, Canon introduced its affordable DSLR models, 300D and 350D, with impressive technical specs. This move was followed by Nikon launching the Nikon D40, which coupled several important aspects such as small form factor, low mega pixel count and better ISO quality. With this introduction, Nikon once again stood side by side with Canon as the market leader. From 2008 to 2010, Canon virtually dominated the domain of DSLR cameras with the introduction of its low priced models with great features. The cameras from this category included the 450D, 500D and 550D. These cameras proved to be immensely popular in the market and topped the Japanese sales charts during the same period. Eventually Nikon also increased its input in the competition with the launch of D3x00 series cameras The most recent addition to this series happens to be D3200, which comes with 24 megapixel resolution, something that is not found on any of Canon DLSRs. So it can be safe to state the race that mostly once revolved around other features have now also incorporated the mega pixels. During the last decade of DSLR cameras, Nikon has usually remained low when it came to megapixel count and instead preferred to compete in other domains. But lately it seems that Nikon has been investing a lot in the mega pixels. This is evident with the launch of the D800 from Nikon that comes with a whooping 36 megapixel count. A lot of interest that this camera generated explains that mega pixel is something that can be among the deciding factors when choosing a camera. It seems that Nikon has decided to cover the low end DSLR range with its compact system cameras. So far the company has introduced two mirrorless cameras, both having a 10 mega pixel resolution. Sony, on the other hand, has been developing compact system cameras with high mega pixel range, the NEX-7 being the best example with 24 megapixels. Panasonic has also followed this trend and the company increased the mega pixel count from 12 in the GH1 micro four thirds to 16 megapixels in the Panasonic GH2 micro four thirds compact system cameras. This move, as per the company, was made due to market reasons since cameras with higher megapixel count have been successful in the market. 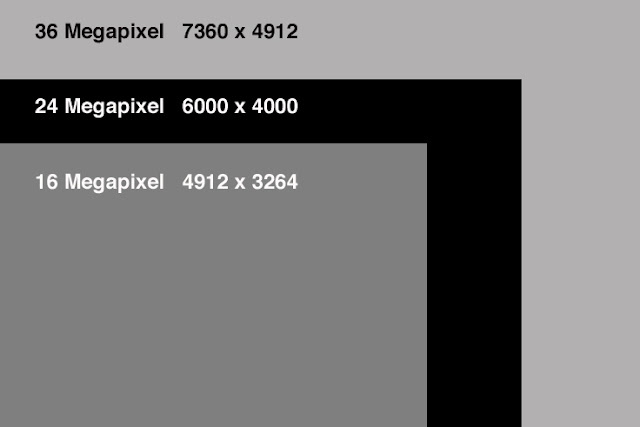 Taking the mega pixel race into consideration, we can expect that Panasonic would release GH3 with even higher resolution. Canon is so far quiet when it comes to compact system cameras with high resolution but we could certainly expect the company to join in the competition. So keeping the present and emerging trends in consideration, we can safely expect that the future models of DSLRs and compact system cameras would come with higher megapixels. While there are several high end cameras that sport low mega pixels, most probably future trend would be in favor of higher mega pixels.